Using Mac is the best thing that could happen to you. A lot of people are into Mac because it’s sleek, funky, and very neat! It’s got class! All their applications are brilliant – you won’t find them anywhere else except for Mac. To make the most of your Mac, you should upgrade it with a new set of features. For sure, your friends will be filled with envy once they found out what you did with your computer. If you don’t know where to start, we have compiled a list of the best Mac software so you will know what to get for your Mac. There’s good news for those who have been loyal to this file transfer application. This application has been upgraded with a couple of new features. In the past, you have trouble navigating the application due to the slow speed so you don’t have to worry about any longer. Another change about this software is the new “Transmit Disk” functionality. You may have trouble organizing your files before, but this software is worth investing for. Before you know it, all your cluttered files become organized with just a single transfer function. Writers and bloggers admit that it’s hard to concentrate because of too many distractions offline and online. Writers are easily disturbed by social networking sites like Facebook, Twitter, Tumblr, and other web-based applications that waste your time. So if you want to beat the deadline immediately, this software could be just for you. 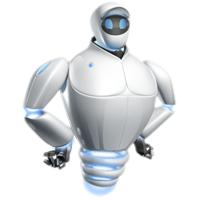 The Writeroom is areliable software for Mac OS users. It allows you to focus only on writing without any disturbances. Unlike other writing programs, the Writeroom only shows a black screen with a green font. It does not have any formatting features like correcting the layouts or adding tables because you only need to concentrate on writing. That’s all. This software might be boring for some, but this is perfect for writers and bloggers who want to concentrate on writing. Are you looking for burning software for Mac OS X? Then you should definitely give Burn a try. This is an open source software that allows you to burn whatever files you have in a CD or DVD. This software is very versatile because it is compatible with both Mac OS and Windows OS computers. Burn is easy to navigate especially if its installed in a Mac computer. Are you looking for an article or a blog post to save and read later? Well, Instantpaper is the answer for that! This software has been around for a while and it has been fully developed by Marco Arment. What makes this appealing for readers is that you can save those articles and blog posts in this software and come back later to read it – with a text-only format. Don’t worry about bookmarking that site because this application is made easily for you. For those who don’t know, this application also works for iPhone and iPad. We all know that Safari is well known as Mac’s default web browser. This year alone, Apple released a newer version of this web browser, which supports the new HTML5 feature. Aside from this, a Safari Reader was included so that Mac users can read articles easily. To make your experience with Safari more interesting, the developers added the Safari Extensions and its Extension Gallery. Do check out its new features because you’ll love every minute of it! You were probably disappointed by the lack of features of the previous Office for Mac. Well, you don’t have to anymore, because its developers recently revamped the new Office to give you the best experience possible. The newer version is now integrated with the OS X. A few changes have been made so you’ll get to see new features, as well as the newly polished applications that is worth trying for. Indeed, Microsoft has stepped up their game with this new version! iPhone users will be pleasantly surprised to see this software now up and running on a Mac OS X this year. This software serves as a task manager, where you’ll be reminded of the things to do for the day. So if you are one of those people who forget to organize things and forget tasks, use this application and you’ll be amazed at what it can do for you. Navigating it is easy, so don’t hesitate to use this! Are you a forgetful person? Then the Alarm software will save the day for you. This application can be seen on the top of your Mac desktop so you can easily drag files, items, or text and schedule them on a day when you need to work on them. This application is very handy since it features “snoozing”, reminding you on pending work that you need to do for the day. A few Mac users hate looking at the Google Apps mail or even open a web browser just to login to their gmail. But with the Sparrow application, you don’t have to fret over the bad layout because this software is a good alternative to check your emails. Believe it or not, this small application contains a lot of features which is worth trying out! An icon is seen on the menu bar, letting you access Gmail by just clicking it. Other features include notifications, multiple accounts, threading, and even Tweeting! What’s amazing about this software is that it allows you to store your photos and video files, and even view them using its widespread full-screen feature. To add more style to your photos and videos, you can create Hollywood-style movie trailers, music videos, and a whole lot more. This is perfect if you want to make a photo album or a movie and give it to somebody special as a present. Do you synch all your files using your Mac, iPhone, iPad, or your Windows box? Then you definitely need the latest version of the 1Password to protect and encrypt your files to avoid anybody from lurking with your files and folders. With just a single password, you can access all of your files in any of these Mac applications with this single tool. These are just a few applications that you may want to add into your Mac software collection. It wouldn’t hurt to invest in a few of these applications to make your Mac experience worthwhile.